There are some compact crossover SUVs on the market that don’t offer you the value you need. The Mitsubishi Outlander Sport is not one of these. Instead, these models lure you in with a low base price but when you take them for a drive you realize there aren’t many of the features you want. The 2019 Mitsubishi Outlander Sport isn’t like these other models. The Outlander Sport is a model that brings you the value you’ll admire and the longest standard warranty in the automotive industry. Take a look at what this compact crossover has to offer and let it become the right choice for you. Are you looking for the compact crossover SUV that’s built right and gives you the features you want? If so, you need to see what the Outlander Sport has to offer you. You’ll enjoy a vehicle that has a low price and a build that makes sense for you while also ranging up to a model that has an excellent package of features and the sportiness you want when you get behind the wheel. Let this SUV show you how easy it is for you to have the quality drive you’re looking for. When you take a look at the 2019 Mitsubishi Outlander Sport, you’re going to see more features and items than in the past. The SE trim now has more safety equipment with blind spot monitoring, rear cross traffic alerts, and lane change assist. The GT model gives you even more safety with forward collision mitigation, lane departure warning, and automatic high-beam headlights. Get behind the wheel of this SUV and let these added features give you more of what you’re looking for when it’s time for you to have a great drive. If you don’t have strong expectations for the Outlander Sport, this is an SUV that will certainly surprise you. Along with an amazing standard warranty that gives you the confidence you need when it’s time to get behind the wheel and take a drive, this SUV gives you Apple CarPlay and Android auto starting on the SE trim. These connectivity features are brought to you on the seven-inch touchscreen that’s central in the dashboard to give you the drive you want and the qualities that make sense for you. It’s easy to fall in love with the 2019 Mitsubishi Outlander Sport when you’re looking for an excellent compact crossover SUV to drive. This SUV has a lot of features, a dynamic drive, and the comfort you’re looking for. Even previous models of the Outlander can give you more then other new SUVs. You can get even more value if it’s a used Mitsubishi Outlander model you choose. 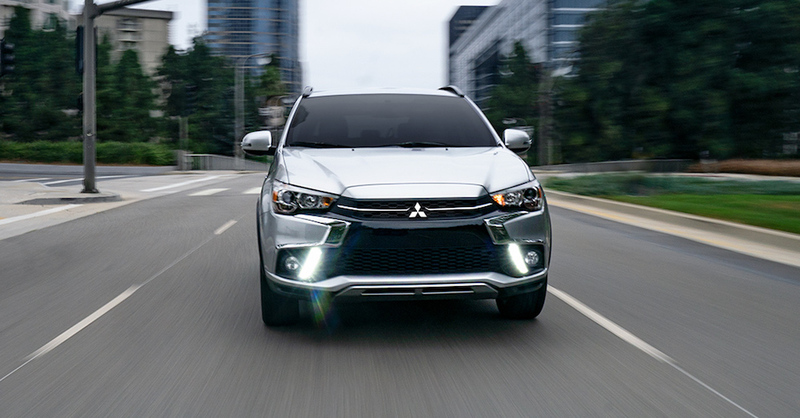 Stop by and see the team at your nearby Mitsubishi dealership and see what this SUV has to offer you when you take a drive. Take a test drive and learn what this SUV brings to you and let the low price be right for you to experience the value you desire.